An enriching tour to experience the spiritual purpose of your journey. Jerusalem (New City) & Bethlehem – Mount Zion, Room of the Last Supper, Tomb of Kind David, the Wailing Wall, the Dung Gate, the Church of St John and Yad Vashem, the Memorial to the victims of the Holocaust. Welcome to Israel! 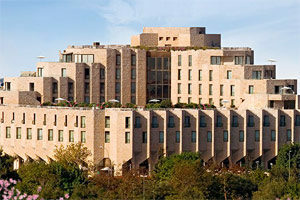 You will be met by our representative and your tour guide at Ben Gurion Airport. Proceed on a short tour of Tel Aviv and the ancient port city of Jaffa. 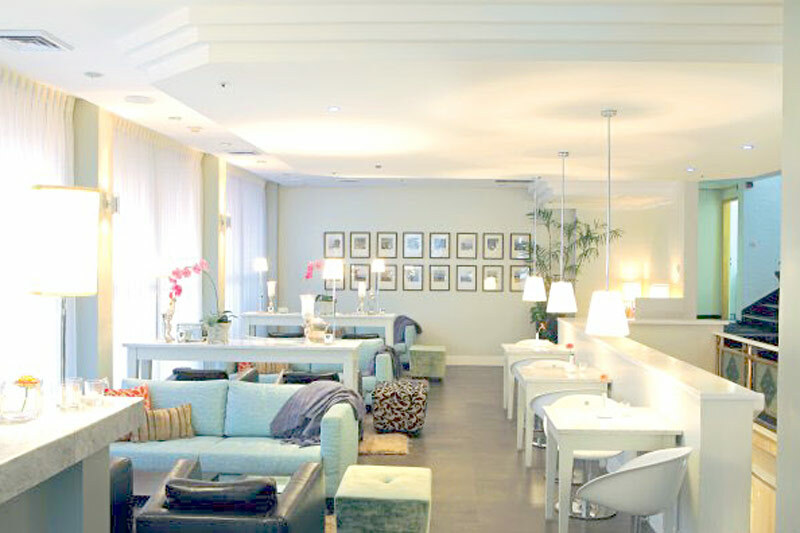 Transfer to your hotel to rest and unwind from your flight. This morning drive north to Caesarea Maritima. Visit the Roman Theater, Herod’s Palace, the Palace of the Roman Procurator, the Amphitheater, the Crusaders’ City and Harbour. Proceed to Nazareth and visit the Church of the Annunciation and Mary’s Well. Drive on to Cana in the Galilee and then on to Tiberias for overnight stay. After breakfast, take a boat ride on the Sea of Galilee, where Jesus walked on the water. Visit the Ancient Boat from Jesus’ time at Ginosar which was found nearby. Drive to Mount of Beatitudes and visit the heptagonal church. Proceed to Tabgha and visit the Church of the Loaves and the Fish and the Church of Mensa Christi, where Jesus elected Peter as His representative on earth. Drive along the north shores of the Sea of Galilee to Capernaum the town where Jesus lived in the house of Peter performing from there his miracles and healings. Overnight in Tiberias. Drive to Mount Tabor and visit the Catholic Church and the site of the Transfiguration. Continue to Megiddo (Amageddon) and visit the Museum and this 5,000 year old city from the times of King Solomon, the old Canaanite temples and the water tunnel from the time of King Ahab. Continue through Wadi Ara to Mesopotamia to Tel Aviv and visit ancient Yope (Jaffa – the house of Simon the Tanner and the place of the Miracle of the Resurrection of Tabita. Proceed through the Judean Hills to Jerusalem. Overnight in Jerusalem. Today visit the Chapel of the Ascension and the Church of the Pater Noster and enjoy a panoramic view of the Old City of Jerusalem with the Temple Mount. Walk down the Mount of Olives to the Church of Dominus Flevit and proceed to the Garden of Gethsemane where Jesus was arrested. See the old olive trees and visit the Basilica of the Agony. Walk through the Lion’s Gate into the Old City and visit the Church of St Anne and the Pool of Bethesda. Proceed through the Via Dolorosa walking along the Stations of the Cross from the remains of the Antonia to the Church of the Holy Sepulcher. Walk through and spend time in the colorful bazaar. Overnight in Jerusalem. 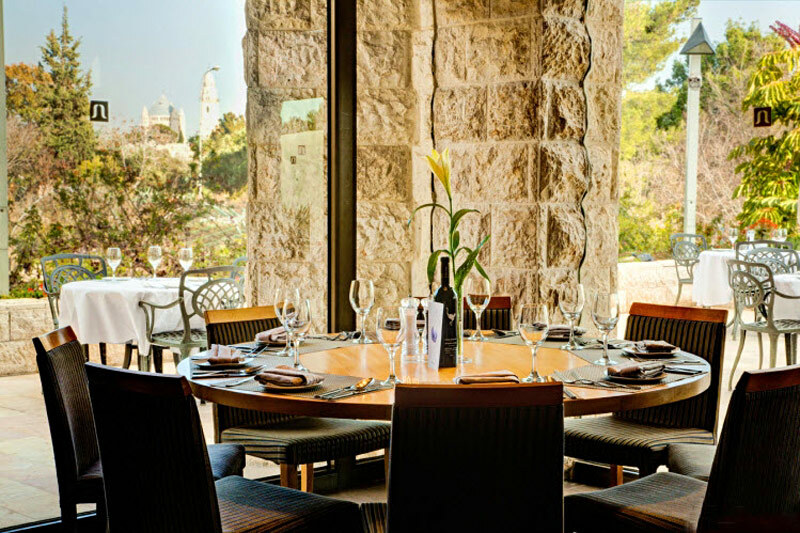 Drive to Mount Zion and visit the Room of the Last Supper and the Tomb of Kind David. Walk through the Jewish Quarter reaching the Wailing Wall – the holiest place for the Jews, and the Dung Gate and drive through the New City of Jerusalem to Ein Kerem. Visit the Church of St John and proceed to Yad Vashem, the Memorial to the victims of the Holocaust. Overnight in Jerusalem. Check out of your hotel after breakfas. Visit Qumran, the city of the Essens where the Dea Sea scrolls were found. Drive to the mountain fortress of Massada, stronghold of the Jews in the war against the Romans. Ascend the fortress by cable car and visit the palaces of Herod the Great with its Roman baths and pools. Descend Massada for a swim and float in the salt water of the Dead Sea, the lowest place on earth. Proceed south to Eilat while enjoying the magnificent desert view. 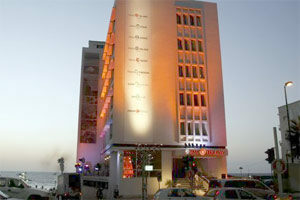 Arrive at Eilat the southern city of Israel on the shores of the Red Sea. 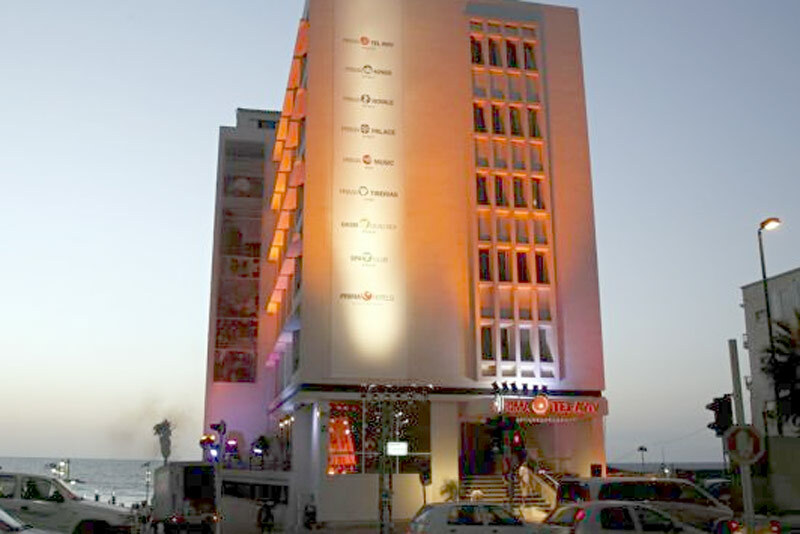 Overnight in Eilat. This morning depart to Arava Boarder – a 20 minute drive and cross the border to Jordan. Visit Petra the capital of the Nabatians and walk through this miraculous ancient site in the red rock. In the afternoon drive to Arava border to cross back to Israel and arrive at Eilat. Overnight in Eilat. Enjoy a free morning on your own – sightseeing in Eilat. In the afternoon check out of your hotel and drive north through the Ramon Crater and Beer Sheva, the capital of the Negev desert and then transfer to the airport for your flight back home. 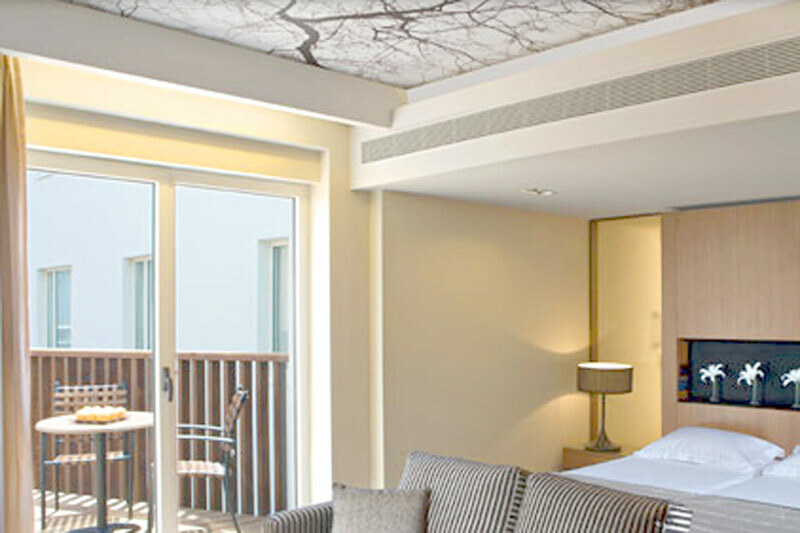 Accommodation in 4 star deluxe hotels on sharing basis. Transfers to/from Airport in Israel. Transport in private air conditioned tourist van with a professional licensed English speaking driver/guide for sightseeing tours in Israel and Petra. Entrance fees for sightseeing based on the itinerary. Hats and travel kits to each passenger. International air tickets, departure taxes and applicable visa fees. Visas/border taxes for Jordan (if needed). Optional sightseeing tours and meals. Items of a personal nature such as telephone calls, laundry, beverages etc. 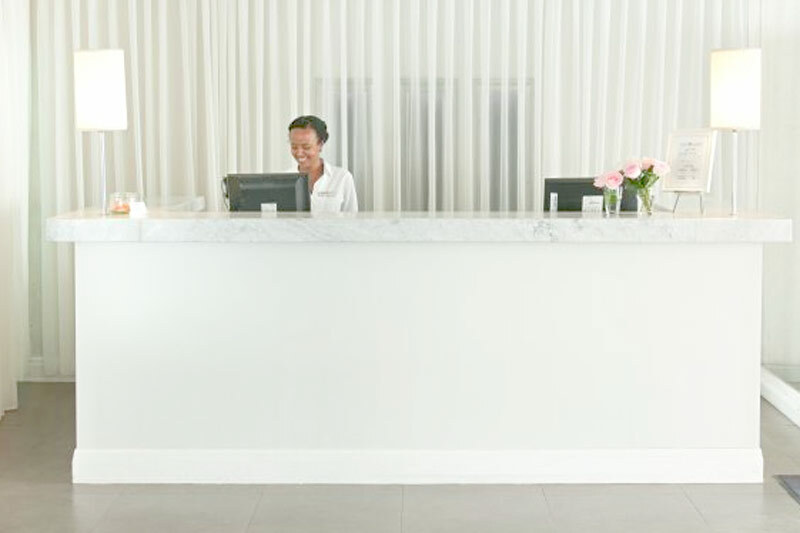 Tips and gratuities to hotel staff, driver/guide. 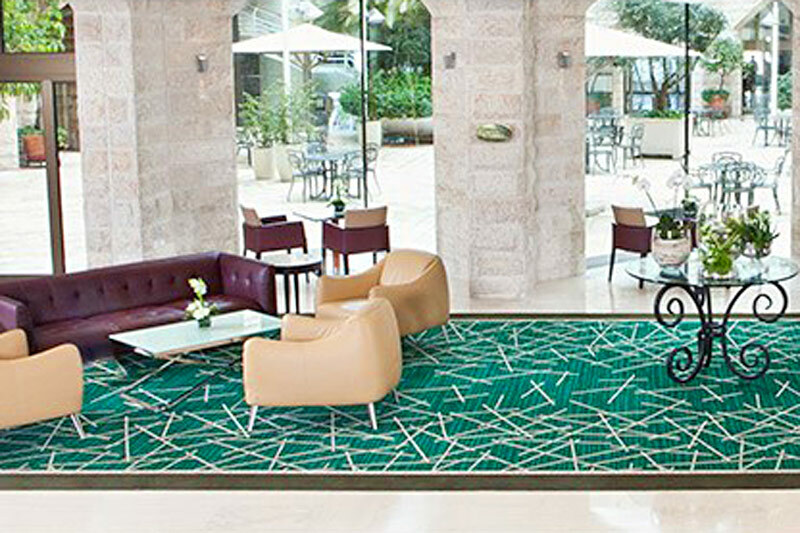 Located in the heart of the bustling city of Tel Aviv directly across from the seaside promenade, the Prima Tel Aviv combines business amenities with a culturally-enriched, relaxing atmosphere. 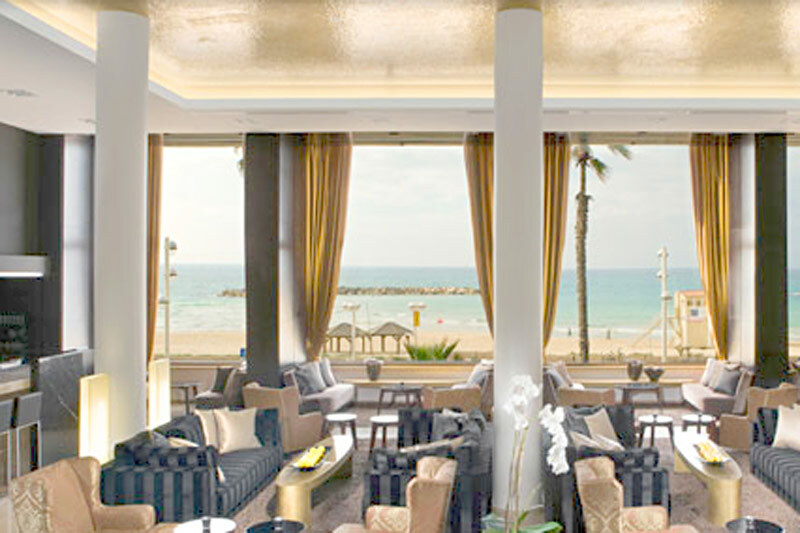 The Hotel has a beautiful dinning hall facing the blue waters of the Mediterranean Sea offering guests a panoramic view of the sea shore while enjoying an Israeli breakfast served buffet style. 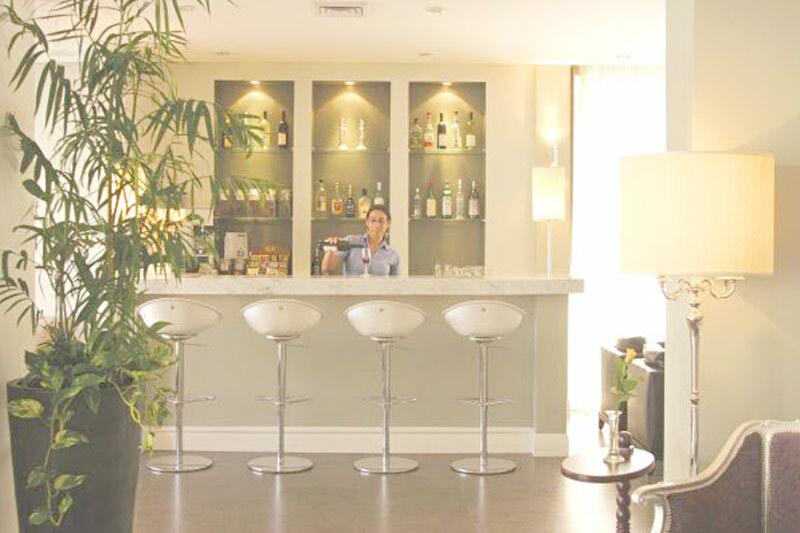 This intimate and affordable hotel offers 60 lovely rooms, complete with on-premises secretarial services, internet access in the Hotel’s lobby, ample meeting rooms, an on-site art gallery and more. 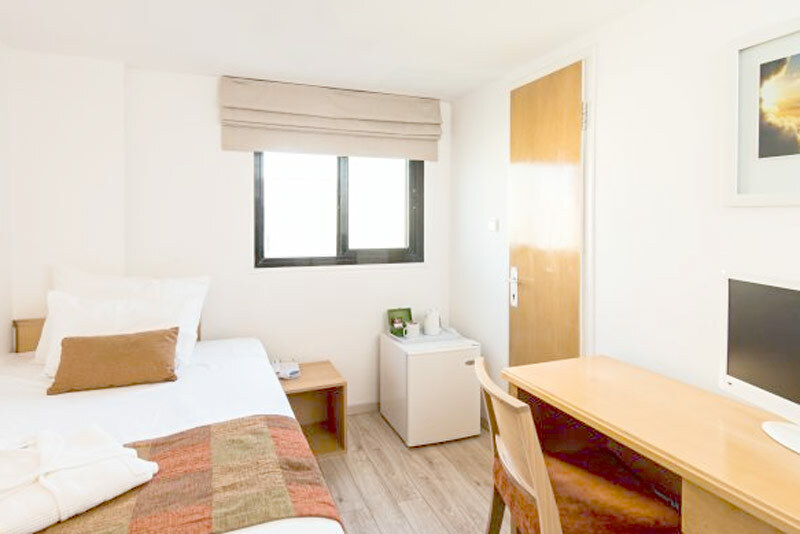 The 40 Standard rooms are capable of accommodating 2 adults or for single use. 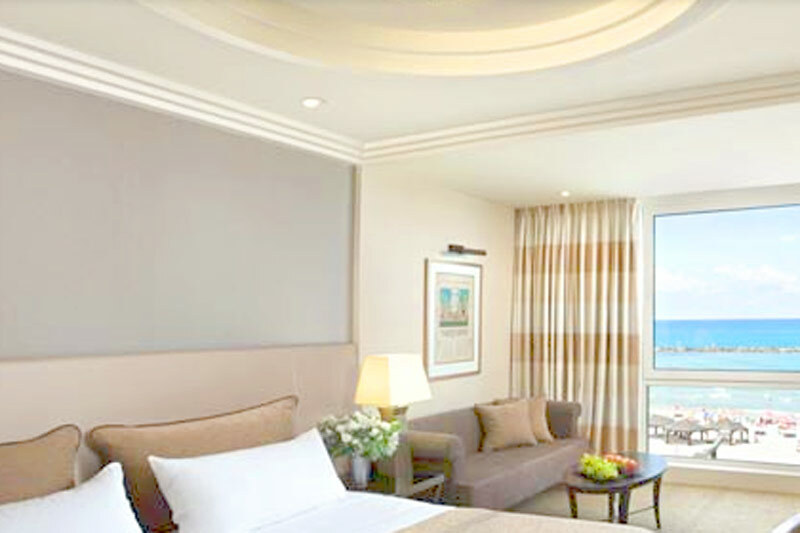 The 2 Deluxe rooms are perfect for families or couples with panoramic windows facing the Mediterranean Sea and offering a spectacular view of Tel Aviv’s sea shore and promenade. 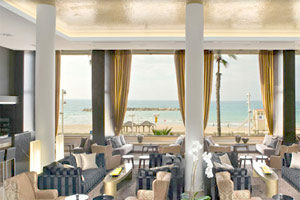 The Dan Tel Aviv Hotel is a member of the ‘Leading Hotels of the World’. 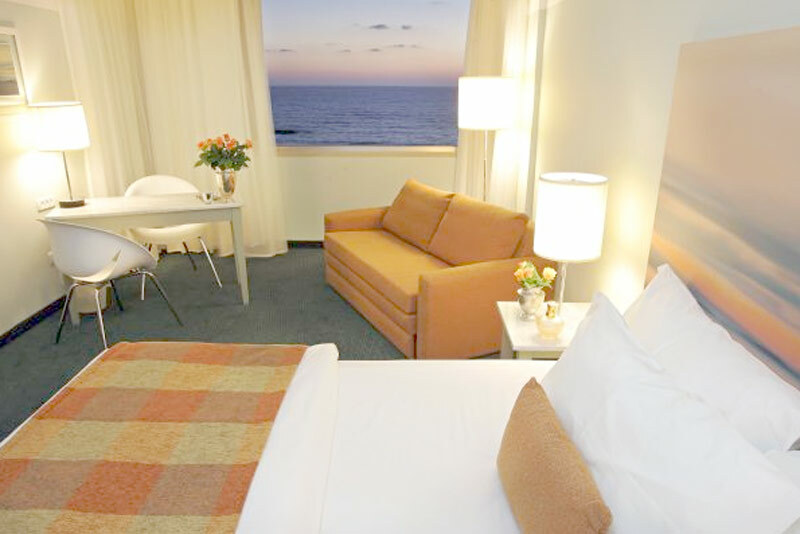 Occupying a prime position on the sea front and overlooking the Mediterranean, the Dan Tel Aviv is one of the city’s most renowned 5-star hotels within easy walking distance to many of the area’s top shops, cafés and restaurants. Picturesque Old Jaffa can easily be reached by walking along the seafront promenade. 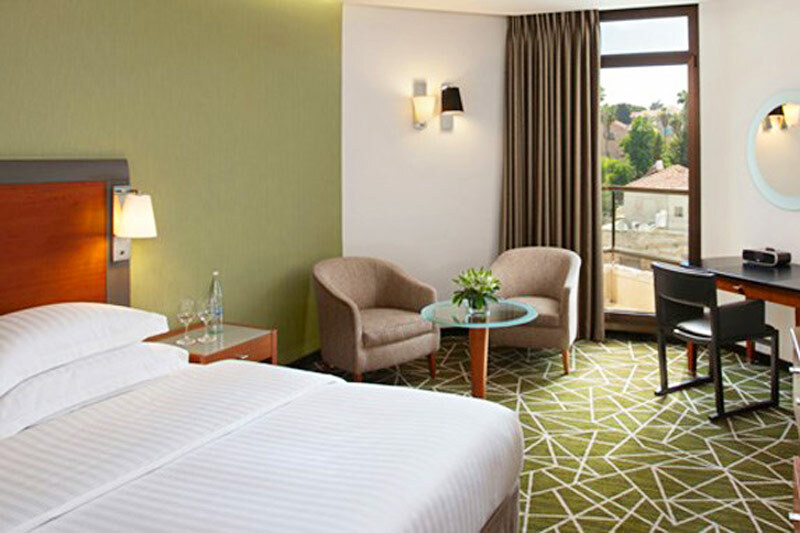 The Hotel has 280 spacious and beautifully decorated guest rooms, all modern in design and feature a luxury bathroom, some with Jacuzzi-bath. 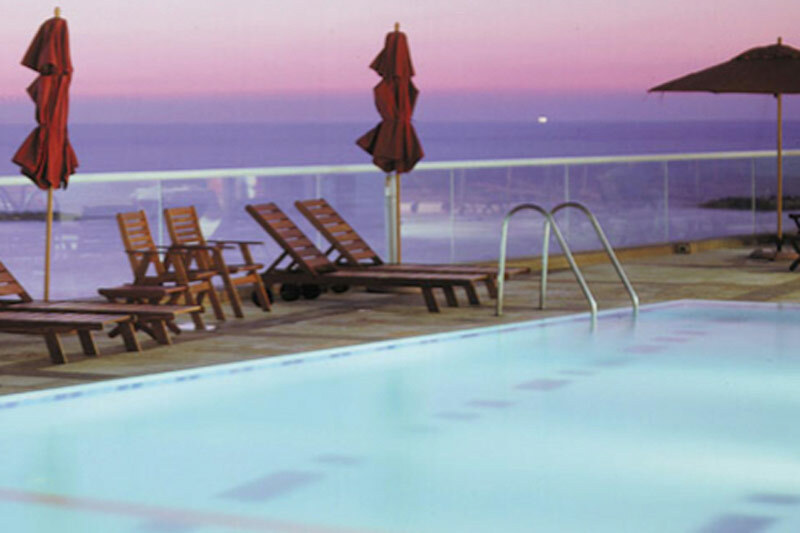 The Dan Tel Aviv has a fantastic range of leisure activities on offer to suit all ages. There is a large outdoor swimming pool with a great sun deck overlooking the beach and an indoor pool, fitness center, sauna and Jacuzzi. 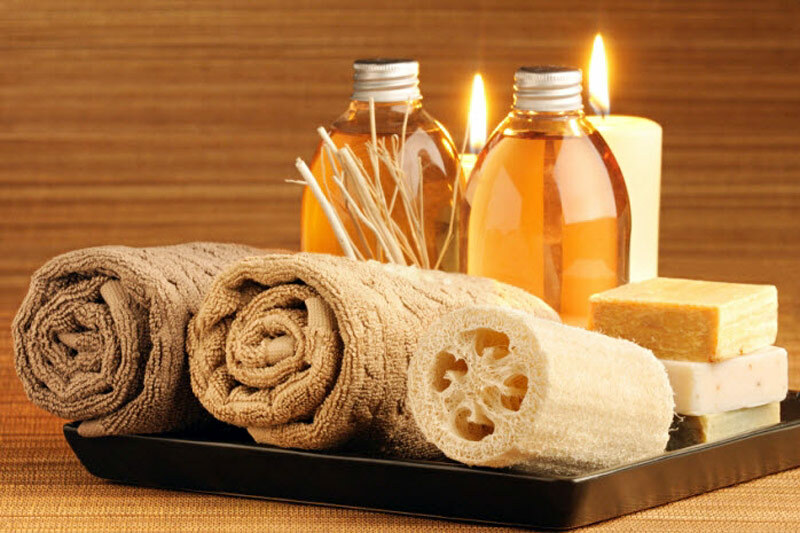 A range of treatments and massages are available in the spa. Younger guests can enjoy the activities arranged by the kids club (high season) plus there is also a children’s pool. 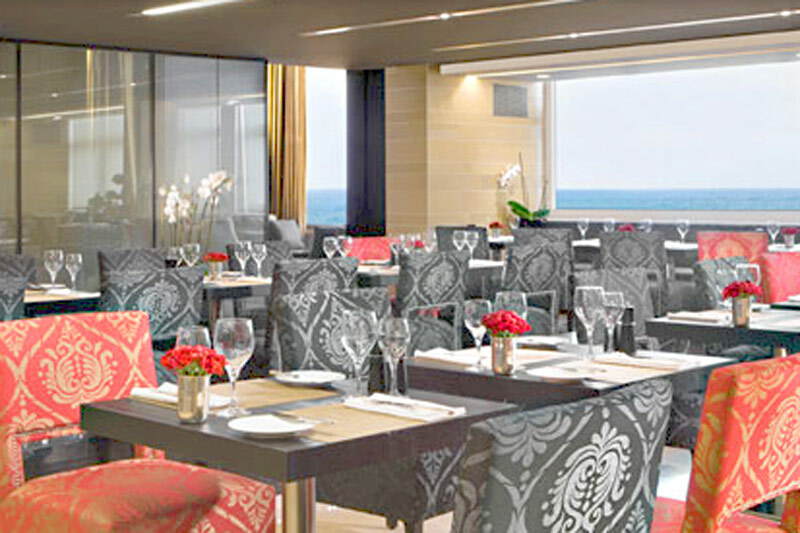 The Hotel has a new restaurant which specializes in modern Israeli cuisine, combined with many Mediterranean dishes. 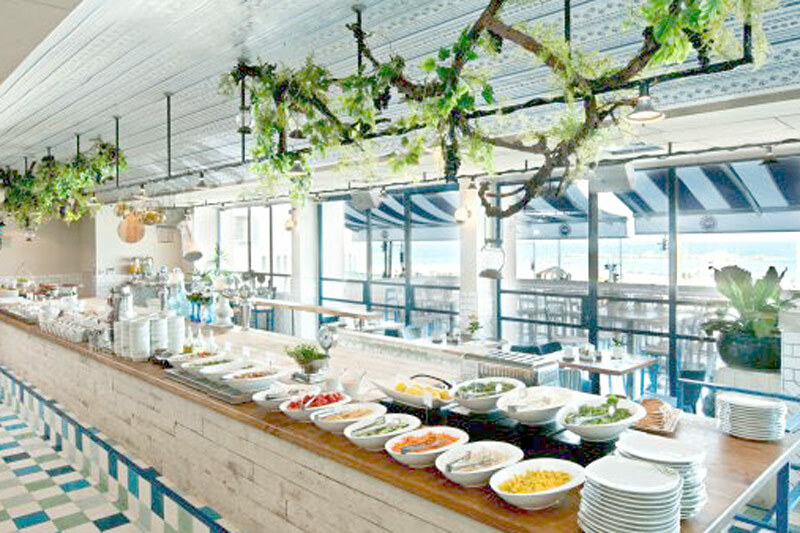 The restaurant and bar have great views over the sea. The Inbal Jerusalem Hotel is situated in the heart of the city, overlooking the Old City Walls and Liberty Bell Park. 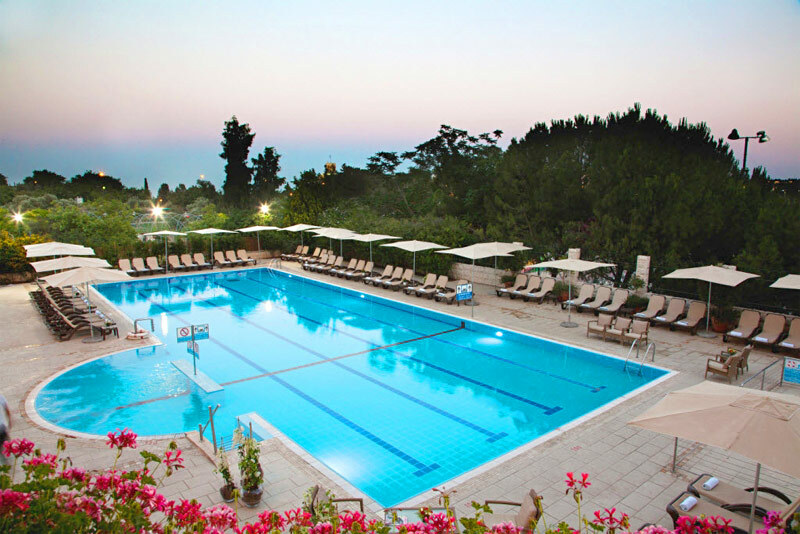 The hotel’s facilities include totally renovated 283 rooms and suites, swimming pool (covered and heated during winter), modern gym, wet and dry sauna and massage. 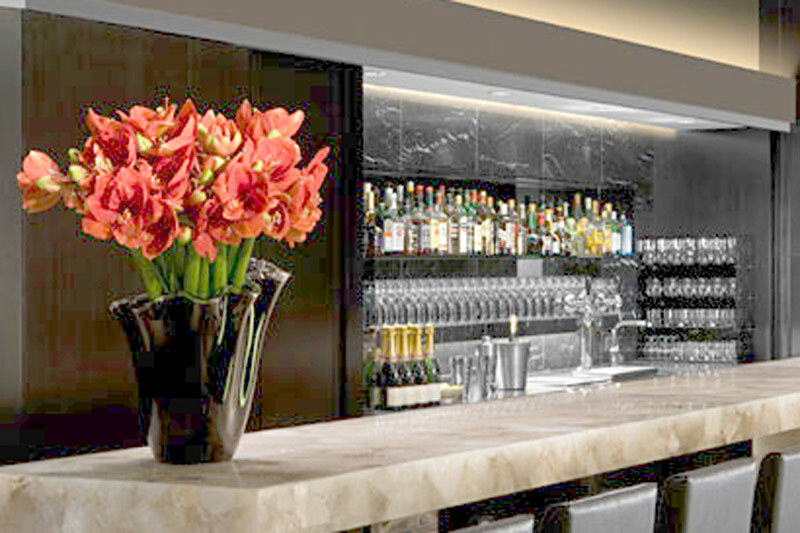 The Hotel has recently introduced an Executive Floor located on the 8th and 9th floor as well as a new Executive Lounge and boasts a wide variety of dining options. 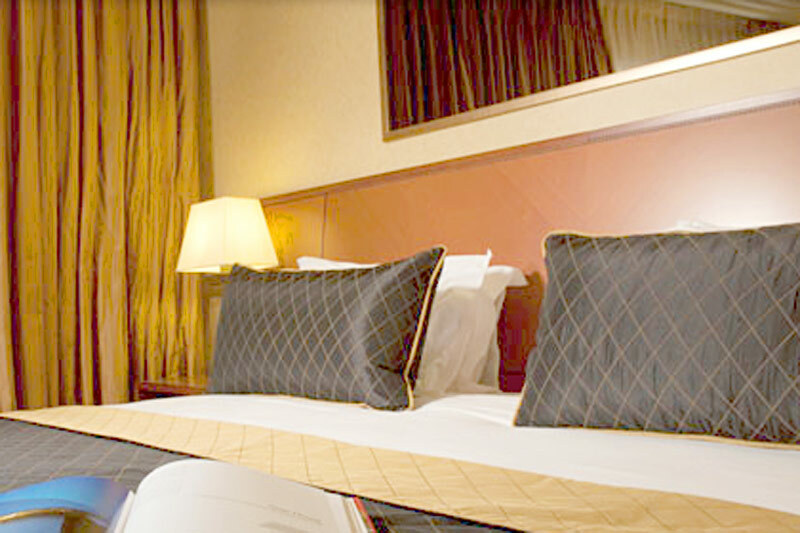 The hotel facilities also include wireless internet access from all public areas of the hotel and the guest rooms. 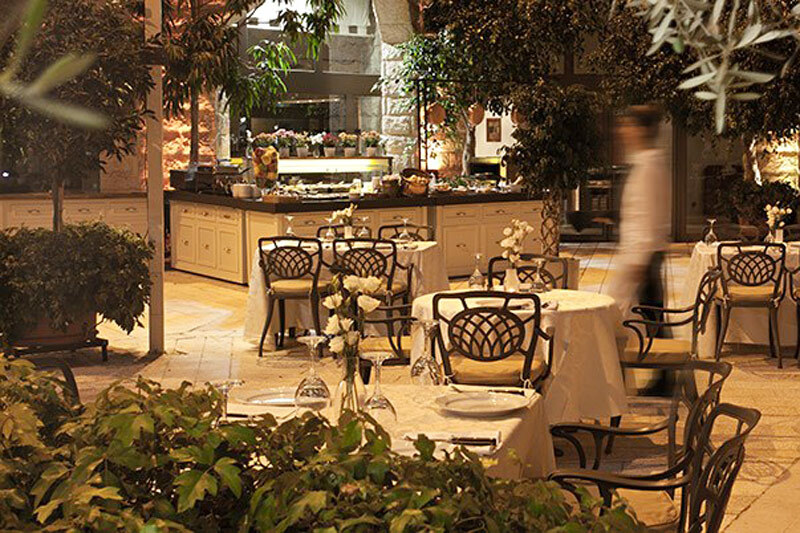 Grand Court Hotel is perfectly located for exploring Jerusalem. The holy sites and the old city are just a short walk away. 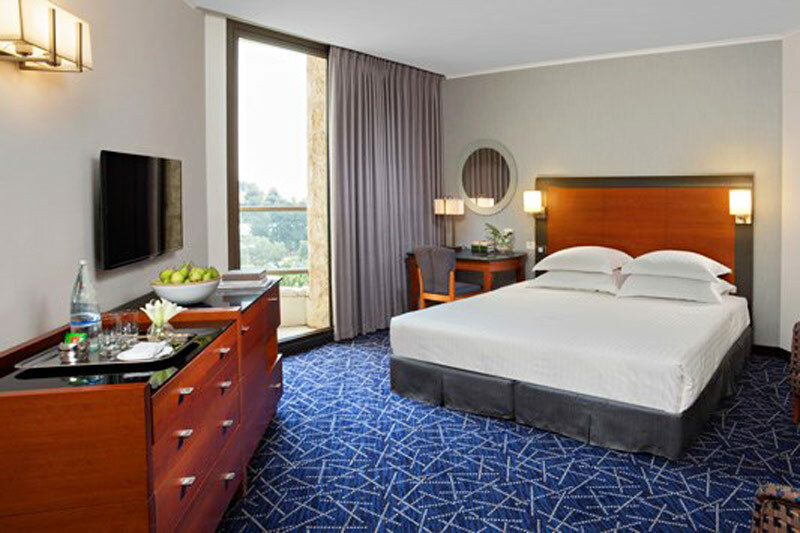 The 4-star deluxe Grand Court Hotel offers large and well-appointed accommodation in its 442 rooms with an outdoor pool for a refreshing dip or work-out in the well equipped fitness center. 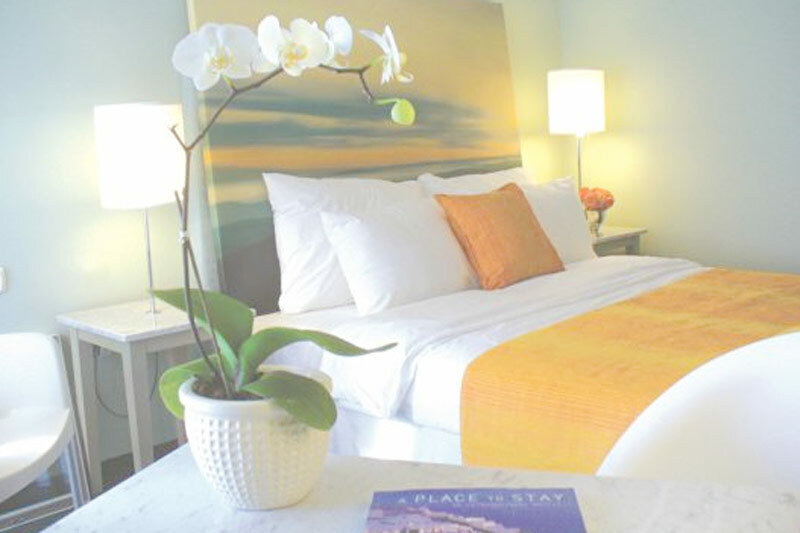 Each room and suite is fully equipped with modern comforts and conveniences, including air conditioning and a seating area. 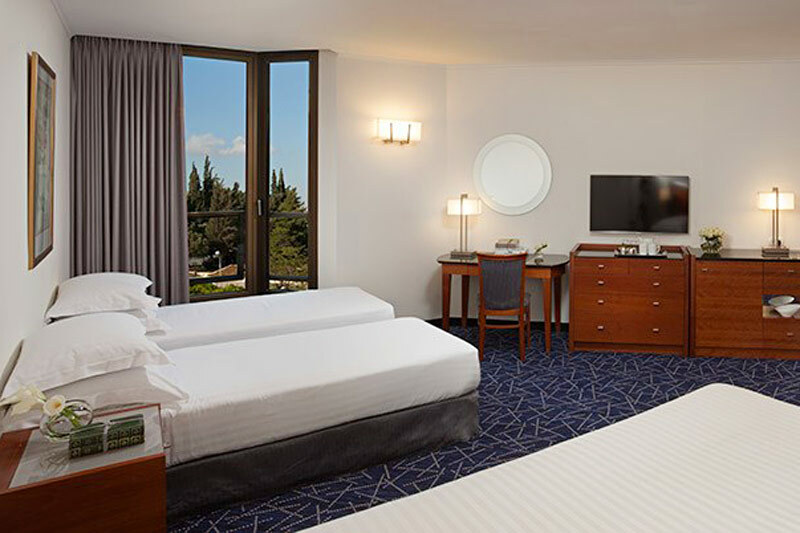 Bali Hotel is in the heart of Tiberias on the shores of the Sea of Galilee in close proximity to the marina and Old City, the Tomb of Maimonides and close to many other attractions of Tiberias. 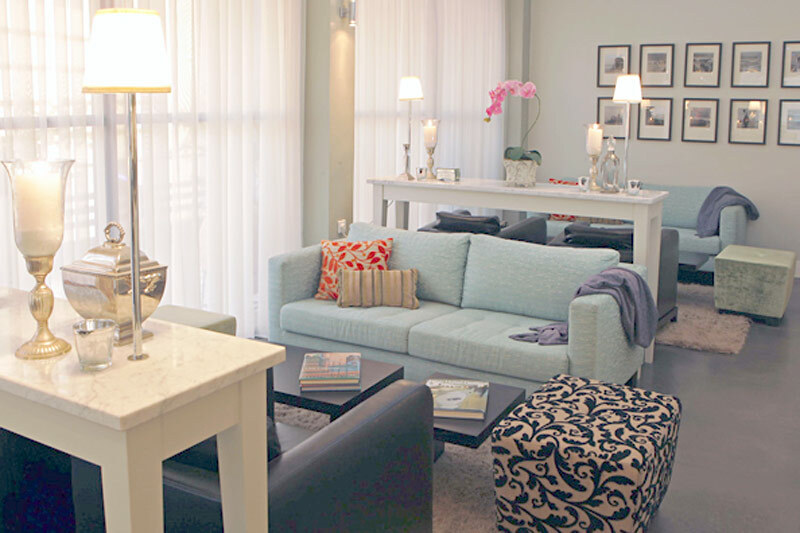 The Hotel features a free gym, indoor pool and sauna. 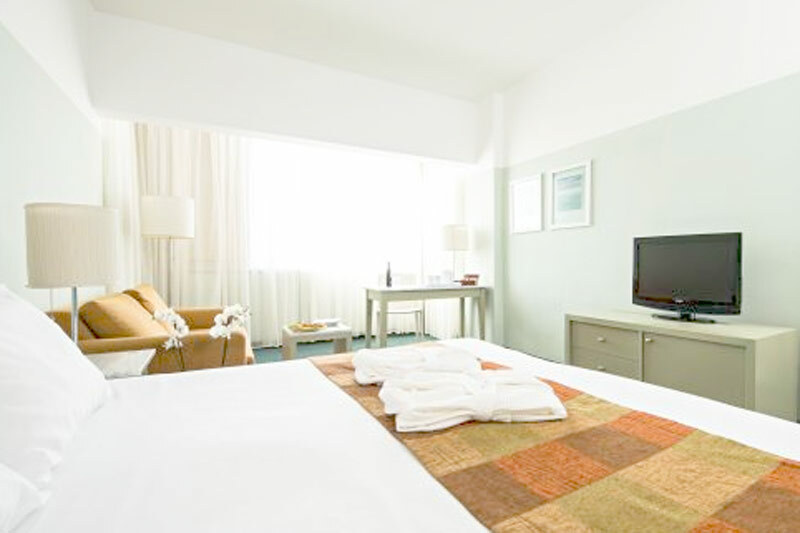 The 170 rooms are air conditioned and feature an LCD TV with cable channels. 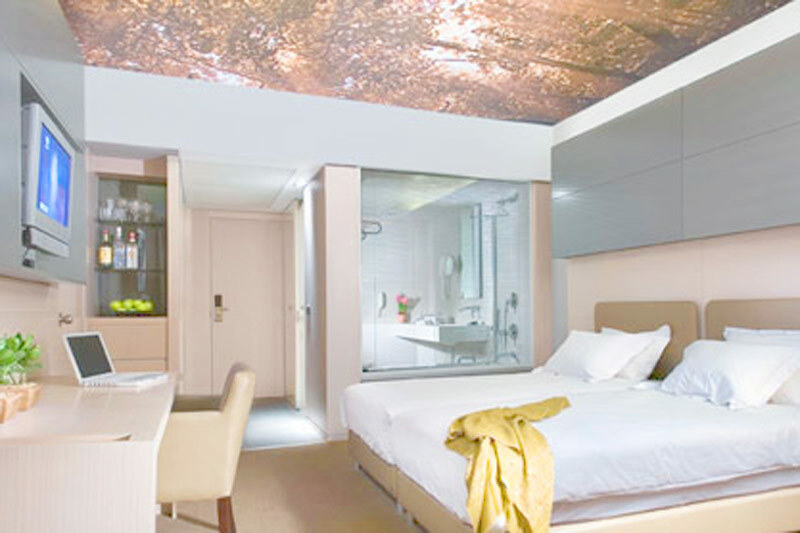 Each room one has a private bathroom with a hairdryer and toiletries. A varied Israeli buffet breakfast is served in the breakfast room each morning.